4.7/5 out of 448 votes. 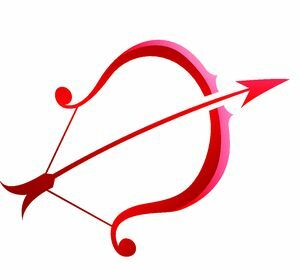 Sagittarius Daily Horoscope for Today, Tomorrow and the Day after Tomorrow. All the latest information you need about Sagittarius Horoscope and updated Daily. Chances of your recovering from physical illness are high which will enable you to participate in sports competition. There will be a rise in your expenses that will bother your mind. Use your spare time in beautification of your house. You family will really appreciate it. Romantic feelings will be reciprocated today. Keep your ears and eyes open when interacting with important people - as you could pick up a valuable tip. Pleasure trip will be satisfying. Your fondest dream will materialize. But keep your excitement under control as too much happiness may cause some problems. Sudden inflow of funds takes care of your bills and immediate expenses. You can get your own way with people if you turn on your charms and use your intelligence. Don't lose heart-failures are quite natural they are the beauty of life. Despite of all the troubles in your life, your partner will stand by you in any case. Rash driving and risk should not be taken while on the road. Blood pressure patients should be extra careful about their health while travelling in a crowded bus. Today you should focus on issues related to land, real estate, or cultural projects. Youngsters may seek some advice on school projects. You may find hard to express your feelings. Partnership projects will create more problems than positive results- You will be especially angry with yourself for allowing someone to take advantage of you. Unexpected travel for some proves to be hectic and stressful.